Boise citizens are ready to take action on climate change, which is already bringing more frequent forest fires, alarming air quality problems and yet more challenges to struggling salmon populations in Idaho. Almost 40% of Boise’s electricity comes from coal, despite the fact that carbon emissions from burning coal are among the largest contributors to climate change. So, three NW Energy Coalition members — Idaho Sierra Club, Snake River Alliance and Idaho Conservation League — are launching a campaign to build public support for moving Boise to 100% carbon-free energy by 2035. The City of Boise has shown strong leadership on climate change. An important next step for Boise’s clean energy transition is setting a truly ambitious target. The #Readyfor100 initiative campaign is showcasing grassroots support to persuade Mayor David Bieter and city leaders to make a 100% clean energy commitment. 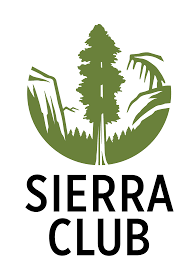 Sierra Club activists are collecting petitions and photos expressing support for a carbon-free Boise. Cities across the country are setting zero-carbon goals. Aspen, Colo., Burlington, Vt., and other cities already have met their 100% renewable energy targets. Boise can build momentum for transitioning to carbon-free energy by 2035. A clean-energy commitment would attract high-tech companies to grow the local economy, protect utility bill payers through stable energy pricing, and help avoid intense forest fires and other climate-related damage. 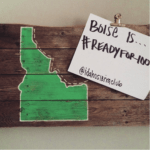 To learn more about Boise’s #Readyfor100 campaign, contact Zack Waterman at zack.waterman@sierraclub.org. You can find more information on the Club’s website and sign the petition here.